After the Tucson Unified School District voted to cancel its Mexican American Studies program, some students decided to push back by skipping classes and having their own teach-ins. It’s after school at the El Casino Ballroom on Tucson’s southside. It’s usually a bar with a massive dance floor. On Tuesday, it became a classroom for some students frustrated with the district’s decision. There was a strategy to skipping school. It’s the district’s 100th day and state funding for schools is based on enrollment over those first 100 days. District officials say that doesn’t matter because the students are still enrolled in class. But the idea was to form a School for Ethnic Studies. And they’re not just learning from the books that were banned from being taught. Maria Teresa Mejia is 17. She says today, she learned about feminism. "That was the big part for me," Mejia said, "when they were Beyoncés song 'Girls Run the World' and they showed another video from YouTube of this woman talking about feminism and how we don’t get paid the same amount as men do." Myra Feliciano is one of the organizers of today’s event. "We did this because if we can’t learn it in the schools, we’re going to find other ways so that students come together and learn what they were learning before," Feliciano said. The same day the teach-in was happening, the Congressional Hispanic Caucus asked the country’s top education officials to intervene. 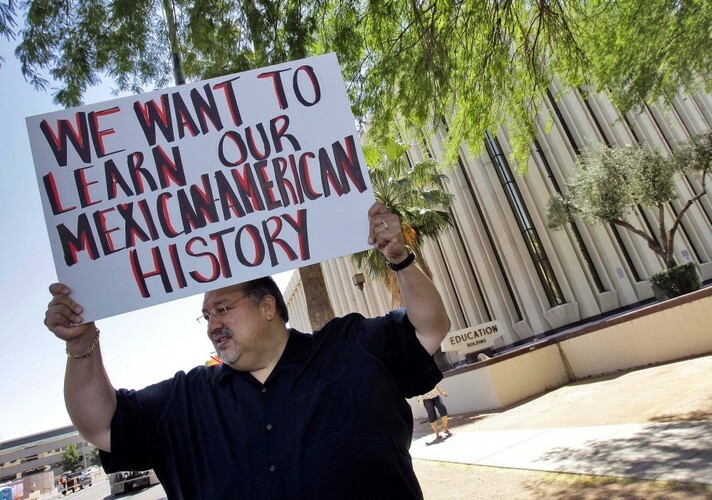 They say the Arizona law banning Mexican American studies violates federal law.